Notes and tasty tidbits await below. Got a tip? CHS@capitolhillseattle.com. Got two tips? Let me buy you a drink. More details on our recent report that an 8 oz. Seattle burger bar is coming to Broadway. We’re told we were dead-on that the “California cuisine” partners behind the concept were also at work up here in the Pacific Northwest but apparently the new joint coming to the Harvard Market shopping center will be run by local partners. Let us know when you meet them. Also, we can now confirm that 8 oz. 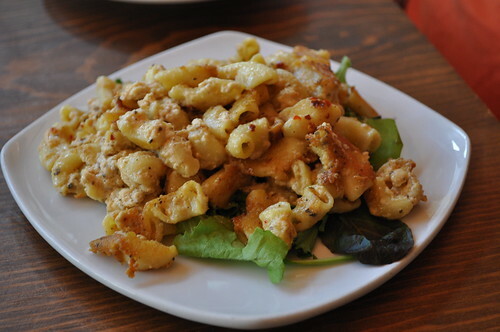 is indeed the restaurant that bought its way into the Tidbit space at Broadway and Union. Long story, short, the overhaul of the space will be underway soon and you’ll have yet another Capitol Hill burger to choose from. Dora’s Island, the funky little food trailer on Broadway? Gone. Varro’s old space remains vacant on 12th Ave.
Our monopoly on Yogurtland is over. 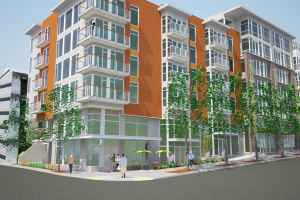 The Terravita mixed use building with 108 apartment units and up to 8,000 sf of retail space available. Scheduled for completion April, 2012, tenant work can begin in December 2011. Located in the heart of the Pike/Pine corridor. Type I shafts located in each of the corner spaces. Available now. $28.00 – $30.00/sf/yr + NNN ($6.50/sf). Terravita, eh? Too bad Terra Plata already has a home. Opens this month, reportedly. 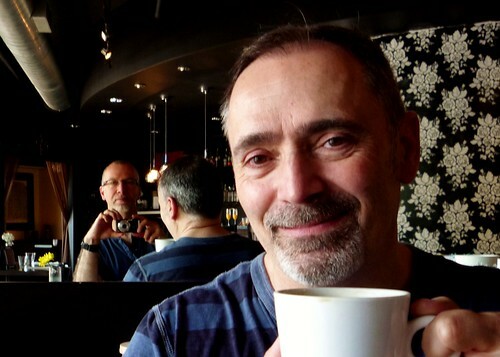 All Vivace locations will be closed Tuesday for the Brian Fairbrother memorial march and picnic in Volunteer Park. “If Bako’s doors were open already, we’d have something to share with all guests who entered today…” Instead, they’ll be open in October. Early reviews are pretty much glowing for the new Canon on 12th Ave. Here’s a look inside if you haven’t stopped by yet. Seattlites, check out Kanapé on Capitol Hill! They have great crepes (sweet or savory! ), and canapés of course. It’s at the north end of Broadway, where Broadway splits into 10th Ave, in the Kinko’s/FedEx building. It’s been here since February, but we just discovered it. Delicious! Coffee at Kanapé, originally uploaded by sea turtle. Cure has a $12 bottle of cava special on Sundays. We assume this has nothing to do with Capitol Hill pop-up Shophouse, right? Like we said, B&O isn’t going anywhere anytime soon. Thomas Market & Deli (and its likely to be delicious sandwiches) is slightly delayed. You will sandwich in October. Lots of buzz last week for the Dinegerous mapping of Seattle restaurant health inspections. Here’s the Capitol Hill area map. Suppose it could be useful but, honestly, the county’s inspection system seems most effective over time — we’d be more freaked out by restaurant’s that turn in consistently worse scores than a moderately bad score on one inspection. You can see trends for a specific restaurant if you click the map markers. Try not to freak out. 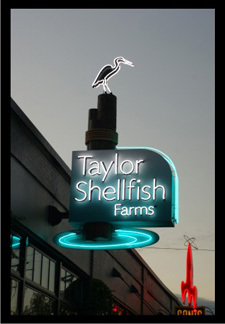 Taylor Shellfish’s lovely sign by Western Neon has been nominated for a 2011 Sign Builder Illustrated best of award. You can see the competitors and vote here. Later this month n September 30th, multiple food and drink purveyors get together for Omnivorous to support Capitol Hill Housing at the Century Ballroom. 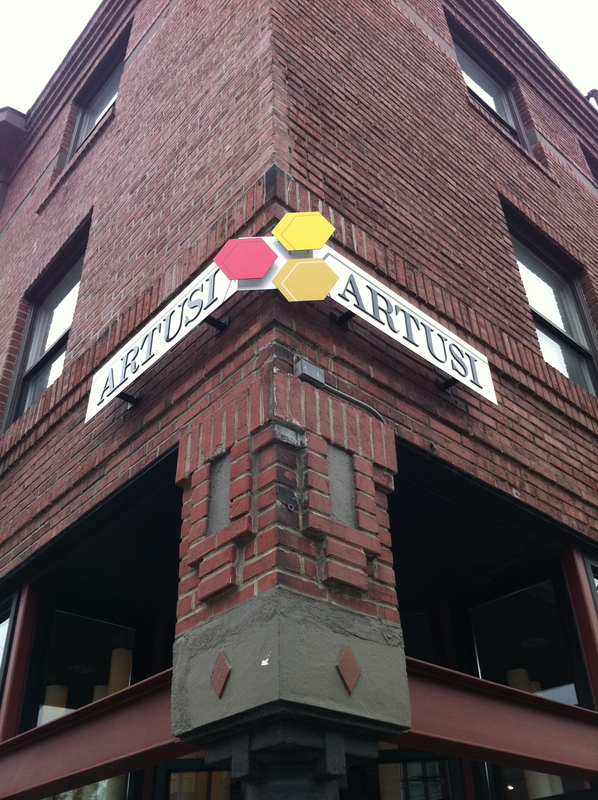 Personally, we like Artusi’s new sign that went up recently at 14th and Pine.